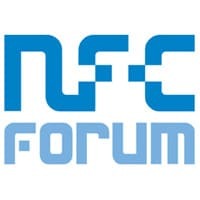 The NFC Forum has issued the Personal Health Device Communication (PHDC) Technical Specification and released two candidate specifications, Connection Handover 1.3 and Signature RTD 2.0. PHDC is designed to provide a standard way for devices like wireless blood pressure monitors, weighing scales and glucose meters to transmit health data to external computer systems for monitoring by physicians. Connection Handover 1.3 includes updates to the existing handover specification as well as support for mediated handover, allowing an NFC device to be used as go-between to set up a connection between two other NFC devices. “This capability is useful if those two devices are difficult to place in proximity to each other due to weight, size, or having a fixed location,” says the NFC Forum. The third specification, Signature RTD 2.0, adds additional security features to the existing Signature RTD standard, which provides a way to enable users to verify the authenticity and integrity of data stored on an NFC tag. The update adds support for compact certificate formats as well as increasing the level of security available via support for algorithms recommended by the US National Institute of Standards and Technology (NIST) and the German Federal Office for Information Security (BSI). “Together, the Personal Health Device Communication specification and updates to the Connection Handover and Signature RTD specifications enable solutions providers to both broaden and focus the power of NFC in a growing variety of use cases and industries, from healthcare to consumer electronics,” says NFC Forum chairman Koichi Tagawa.